AphroChic Is Now On Amazon!!! I had to share with you guys some very big news for our brand. 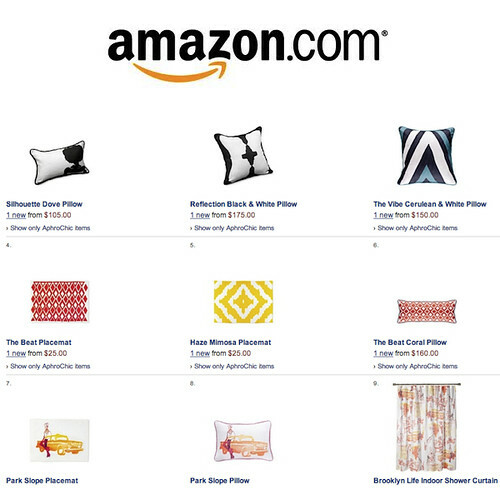 We are now selling AphroChic items on Amazon.com, one of the world’s largest online retailers! We are so happy and proud to be debuting with a new retailer. We have more exciting news about AphroChic products that we’ll be sharing with you in the coming weeks. As always, thank you all for your support, and for believing in this brand. We couldn’t have done any of this without you. https://www.aphrochic.com/wp-content/uploads/2017/02/Aphrochic-logo-glow-700.png 0 0 Jeanine Hays https://www.aphrochic.com/wp-content/uploads/2017/02/Aphrochic-logo-glow-700.png Jeanine Hays2012-11-12 17:58:002012-11-12 17:58:00AphroChic Is Now On Amazon!! !